Sorry, this truck has been sold. 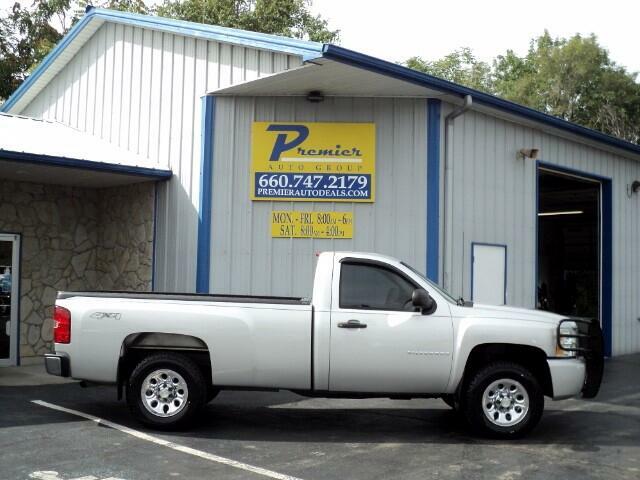 At Premier Auto Group of Warrensburg, we hand pick every vehicle in our inventory. Then we thoroughly inspect and recondition each vehicle to the absolute highest standards. We don't just repair the obvious issues that may be easy to notice, we repair the smaller, less noticeable issues as well. All recommended, and any upcoming preventative maintenance is also completed. This is a standard that sets us apart from most dealers. We're a locally owned, small town dealer that takes great pride in offering only the very best pre-owned vehicles in the area. We have also been fully accredited and awarded an "A+" rating by the BETTER BUSINESS BUREAU!! Trades are welcome, and because we have so many avenues for selling our trades, we're often able to pay much more than our competitors. Quick, on the spot financing is also available! We have a variety of regional and national lenders that offer competitive low APR financing options with rates as low as 3.9% for those with qualified credit. Our sales staff is always friendly and never pushy. Call for more details or simply come in and see us today. We look forward to earning your business!! Quoted payments are based on the maximum term for well qualified buyers with approved credit through Premier Auto Group, Inc.